Why Do You Want To Hit Me? A few weeks ago, I went out for a drink with a few friends. After about an hour or so of talking politics (workplace mostly), the conversation turned to feminism. Now, I know that sometimes it’s better to stay quiet and let the conversation ride out, but I am not one to often do that (as I’m sure my friends will agree), especially since I knew that the conversation was specifically designed to antagonize me; the ‘resident office feminist’. It started simply enough, the men were trying to define equality. I don’t say ‘the men’ in a #allmen kind of way, I don’t want to ruffle anyone’s feathers, but this group I was with was all men and the only other woman in the group was a bit apprehensive to join the discussion. So there we have it, ladies and gentlemen, our opening line. If you want equality, does that mean I can hit you too? Let those words sink in, although I’m sure many of you have heard it before. It seems to be the go to sentence in discussions about equality. The first defence, the instant reaction. For men that don’t talk about equality very often, the whole ‘hitting you too’ rhetoric seems very, very popular. Let’s break it down a little bit. My main issue, the issue that immediately springs to mind, is the violent and aggressive nature of the whole thing. I am shocked, even though I know that it’s coming. Why exactly do you want to hit me? Why is it that your first instinct to me having the same rights as you is to ask if you will be allowed to punch me in the face if those rights were to be given? Moreover, and perhaps more to the point, you’re insinuating that you are not already hitting us. The thing is, you are and we would like you to stop. I am from the U.K. and Women’s Aid lists the statistics as follows; 4.6 million women and children have experienced domestic abuse. 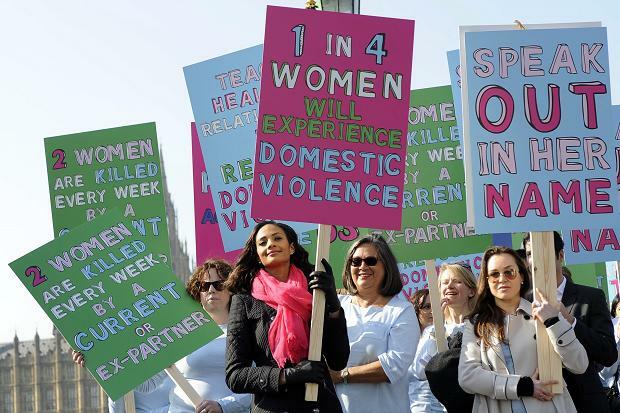 In England & Wales, 2 women each week are killed by a partner or ex-partner. This is just a small snippet, I am sure that the statistics hold up around the world too, and in some countries I am sure they are far worse. In fact, 3 women are murdered everyday in the States by a current or ex-partner and globally it is estimated that 38% of women are murdered by a current or former partner. I could go on, but I think the point has been proved. Men are already hitting, and in many cases, killing women. So why is there this supposition that it isn’t already happening? ‘Does this mean I can hit you too’ kind of assumes that actually, women are the ones doing the hitting and men are constantly living in fear of that. I am certainly not going trivialise male domestic abuse, because it definitely does happen and it is a huge issue too, but the number of victims is significantly smaller. Which leads me to believe that women are clearly not constantly punching or hitting men. The statistics themselves are appalling and saddening. What saddens me more though, is the amount of people I meet that seem completely unaware of the issue. There is another aspect to this, though. If it is all about equality – you hit me, I hit you – then there’s something equally as problematic about this statement. What generally follows is the argument that men are not allowed to hit women, because women are weaker and less able to ‘give one back’. It is unfair to hit a woman, because the man will be stronger than the woman and more likely to do some serious damage, whereas a woman would merely scratch the surface. It’s the violent trajectory with this that worries me so much, though. I still don’t understand why markers of equality rest on whether or not we can bash each others faces in. For the same reason that I don’t want a man to hit me (because I don’t condone violence and it would hurt) I also really, really don’t want men to hit each other either. It reminds me of another anectode that MRAs ™ like to pull out from time to time – ‘Being equal means women should be conscripted too’. No, it doesn’t. I don’t want women being conscripted. I don’t want men being conscripted. I don’t want anyone to have to partake in violent and senseless warfare, warefare decided by people who don’t give a damn what gender you are. Or who you are, for that matter. The easy answer would be ‘yes’. Yes you can hit me, and yes I would ‘consent’ to myself to be conscripted against my will (bit of a tricky consent there). Realistically, though, unless we move away from this ridiculous idea that beating one another up or using human beings as cannon fodder are actual milestones of equality – we will never be able to have a ‘nice’ conversation about feminism at the pub.